These easy rosemary savory spiced nuts are the perfect healthy snack or quick and easy party food! So simple to make, these rosemary spiced nuts are vegan, gluten free, low carb, paleo and Whole30 friendly! Snacks are often my favorite part of the day! These easy rosemary savory spiced nuts are the perfect way to change up your normal snacking routine! They are so simple to make, only have 5 ingredients and are packed full of flavor. I have to admit, they are a bit addicting, so be sure to portion them out or you may end up eating the whole batch in a day! 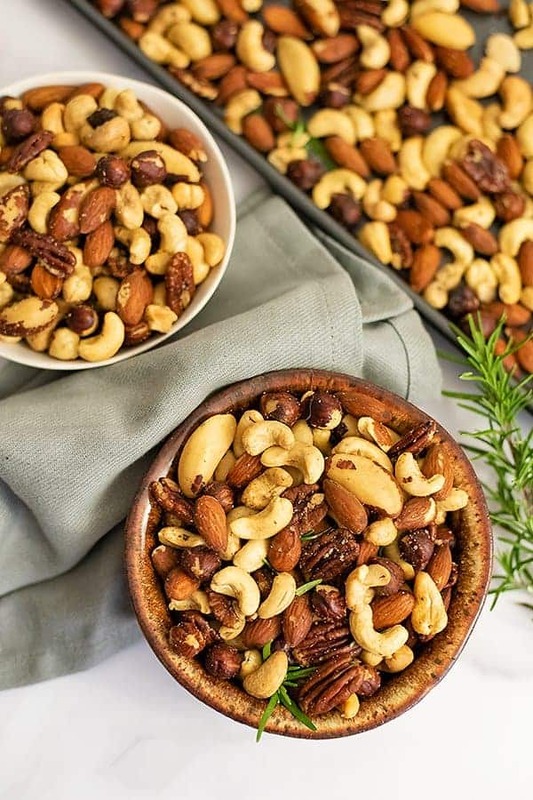 These easy rosemary savory spiced nuts are also perfect for parties! You can easily double or triple the recipe below to make a big batch of these at once for a party. These rosemary spiced nuts would also be a great hostess gift! 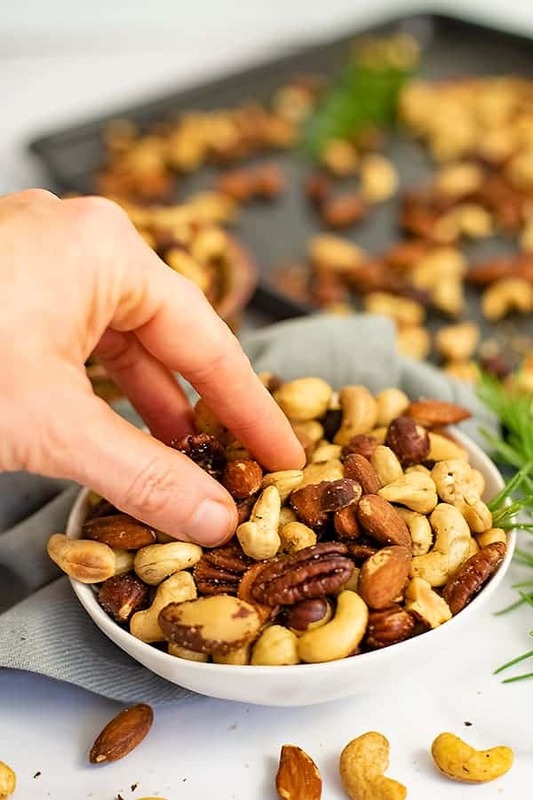 Why should you use raw mixed nuts? 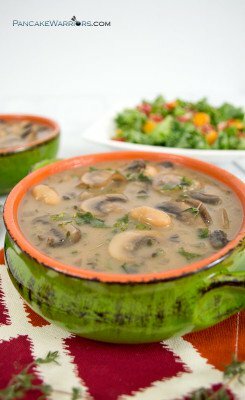 This recipe calls for using raw mixed nuts since roasted nuts are often roasted in canola oil or some other oil which can easily go rancid. Instead, buy raw mixed nuts and roast them yourself in a 300F degree oven with avocado oil and whatever spices you love! If you choose to roast your own nuts, be aware that they can easily burn. Because of this, I choose to use a cooler temperature (300F) and roast them for longer instead of using higher heat for a shorter period of time. The nuts will not look golden brown but will get crispy and crunchy in a 300F oven for 20 minutes. It is very important that you allow the nuts to cool completely, as they get crunchier as they cool. To get spices to stick to nuts, coat the nuts in oil mixed with the seasoning. As the nuts roast gently in the oven, the spices will adhere to the nuts. Alternatively, if you want the nuts to have a bit of a crust, you can coat the nuts in a single egg white, whipped up with the seasoning in the egg white. 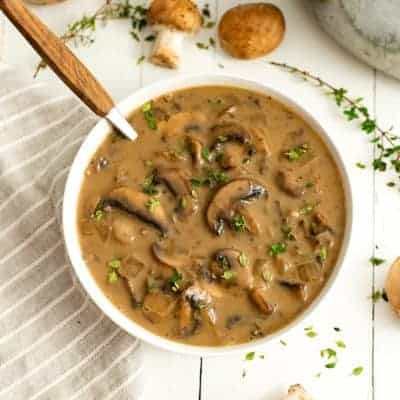 I wanted this recipe to be as simple as possible, so I chose to just use avocado oil, but if you find that you want your spices to be more adhered to your rosemary spiced nuts, you can use 1 egg white in place of the avocado oil. You can make these rosemary spiced nuts ahead of time for a party and simply store them in a sealed container for up to 3 days on the counter. 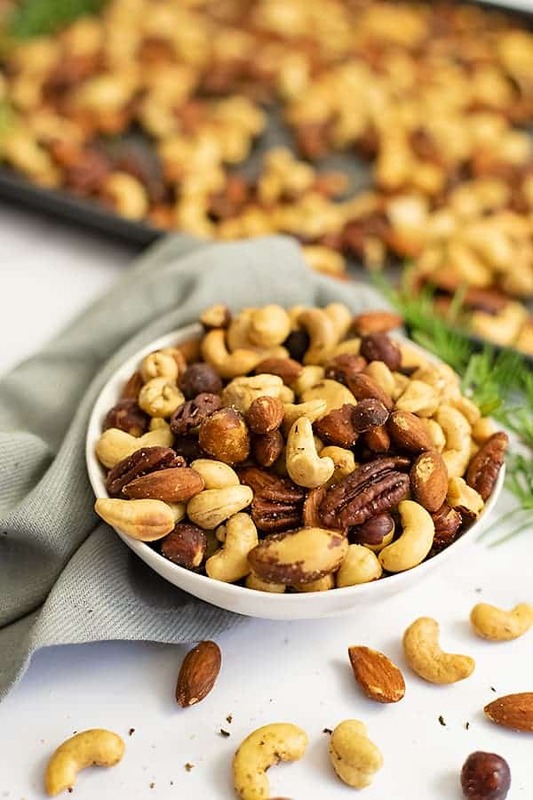 If you make these rosemary savory spiced nuts for snacks throughout the week, you may want to store the mixed nuts in single serve containers in the fridge to keep them fresh. 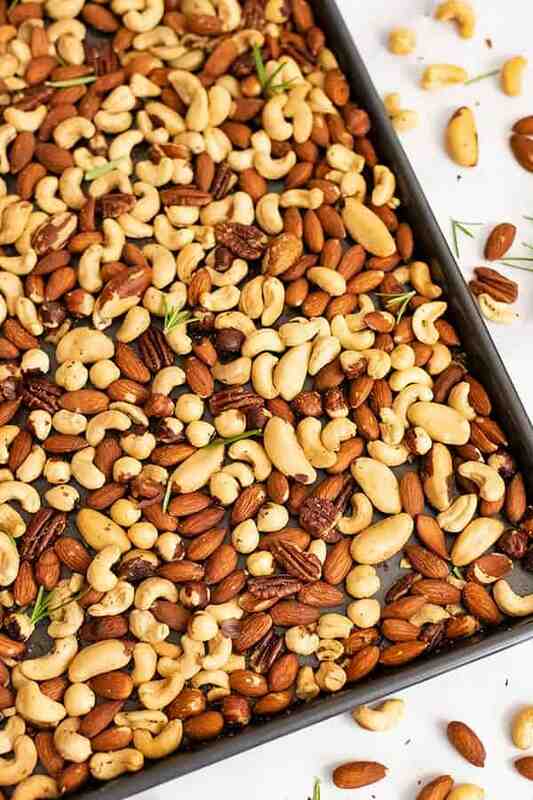 Rosemary Savory Spiced Nuts are the perfect healthy snack or quick and easy party food! 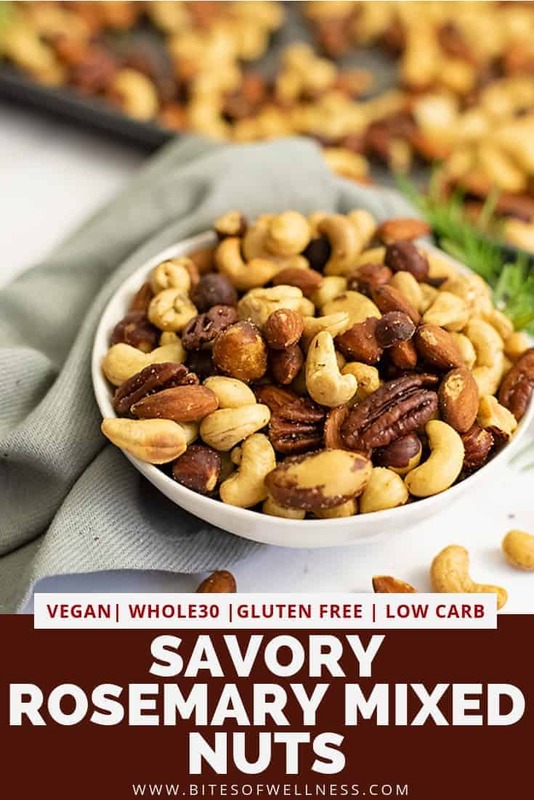 So simple to make, this recipe for easy rosemary spiced nuts is vegan, gluten free, low carb, paleo and Whole30 friendly! Add the mixed nuts to the bowl and stir well until well coated. Place a parchment paper or silicone liner on the sheet pan. Add the mixed nuts to the pan. After stirring, add the nuts back to the oven for 10 minutes. After 20 minutes total in the oven, take the nuts out and allow them to cool completely before enjoying. 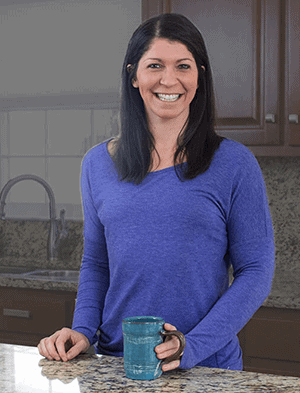 Store in a sealed container for 3-5 days on the counter or 1 week in the fridge. Freeze leftovers in single serve portions for easy snacking.